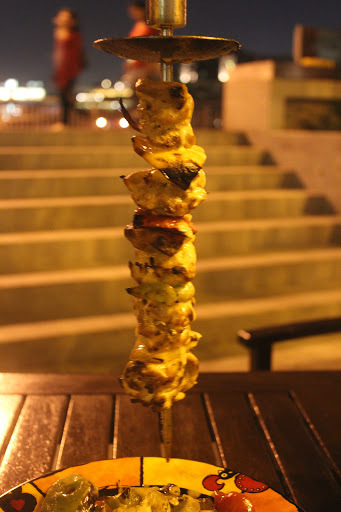 When it comes to grilled chicken, Nandos tops my list of restaurants. Me and a friend of mine are just crazy for it. 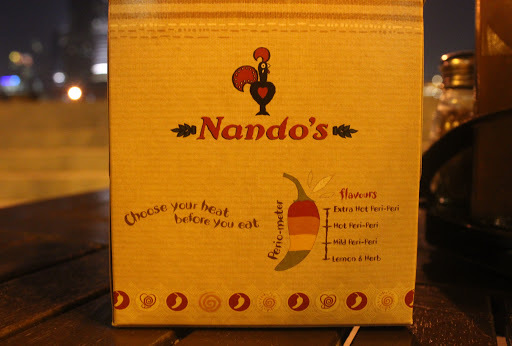 As my love for Nandos grew, I shared it with my family too. Good for me that my family appreciated it and fell in love with it as well. 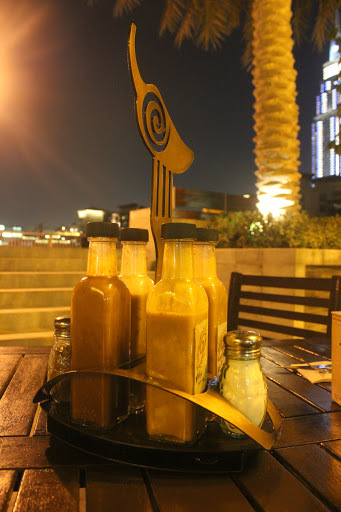 As the weekend bells started ringing, it was another family dinner at Nandos. The branch I selected was the one at Burj Downtown. I prefer this branch over others due to the rush factor (SZR branch is packed and the rest too far for me) plus the view of Burj Khalifa along with the water fountain. We settled down within minutes to place our order. Our order was 2 half-chicken plus meals and 1 Chicken Espetada. Not to forget, the highlight of Nandos is its sauces. You shall be asked to choose your flavour before you order. Starting from Extra Hot Peri-Peri (being the spiciest) to Lemon & Herb (the mildest one). Since I can’t do with spicy, we went with Lemon & Herb. 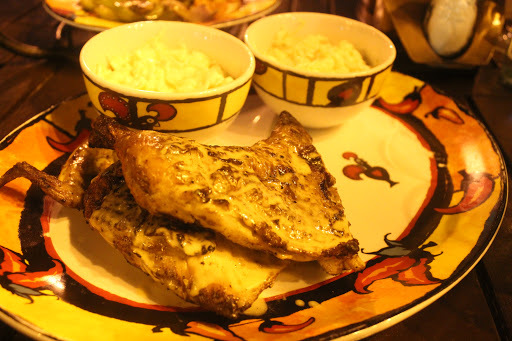 Each half-chicken plus meals gives you an option of 2 side dishes, while you can choose 1 side order for an Espetada. Our side orders included Fire roasted veggies with Chicken Espetada, 2 coleslaws and 1 Assorted chips (equals 2 side orders). We had to order one extra drink since our meals gave us only 2 drinks (soft drinks are bottomless). Half-Chicken tasted delicious like always. I liked the mild flavour of the chicken and the serving size makes me happy. The chicken tastes better with a Peri-Peri sauce (I like the Mild spicy one). The Coleslaw was yummy, loved it to bits. Chicken Espetada looked really appealing but tasted just about alright. Felt that the chicken should have been cooked a bit more. 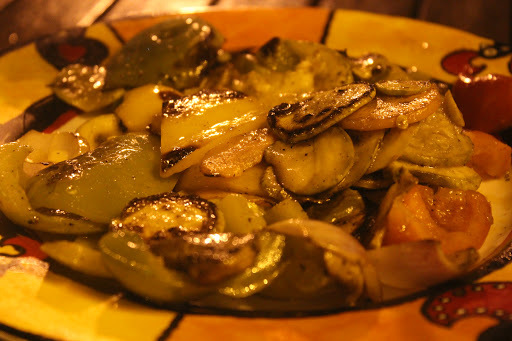 The fire roasted veggies to go along with Espetada tasted good. I liked the mushrooms and the bell pepper/Capsicum. Assorted chips were yummy; I love the crispiness of the chips. 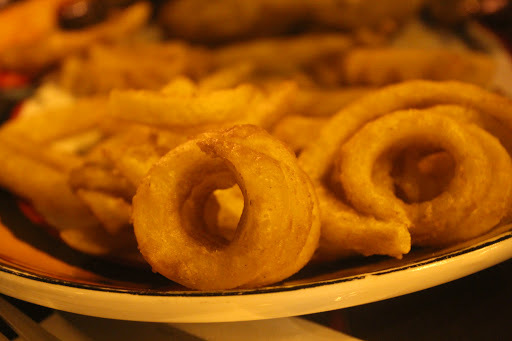 No wonder Assorted chips are my favourite side order. That was it, our tummies were full and we were satisfied. 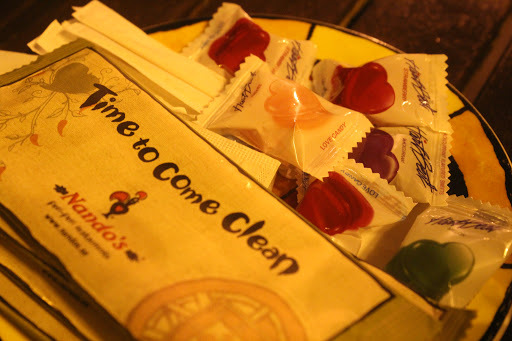 As we ordered for the check, we were served with some Heartbeat candy; this added smiles to our faces. We enjoyed the beautiful fountain view atleast twice during the course of our dinner. Do try Nandos once and then decide for yourself.